Nitzan appointed to head Prosecution despite his perceived partisanship over Jewish communities in Judea and Samaria. At the beginning of next month, Deputy Attorney General Shai Nitzan will be appointed State Attorney. The announcement was released Monday by the search committee appointed by left-wing Justice Minister Tzipi Livni, and comes despite widespread criticism within the legal and political systems. "The role of State Attorney requires professional authority and leadership, professional experience and knowledge, particularly in criminal and administrative law, systemic leadership and administrative ability, organization and the ability to move the system along, teamwork - and of course, honesty and integrity," the statement concluded. One member of the five-person search committee, Professor Ariel Bendor, preferred the candidacy of former Deputy Attorney General Yehoshua Lemberger for the post - although he has also declared that Nitzan is a worthy candidate for state attorney position. Nitzan is widely perceived as an avowed ideological enemy of the Jewish settlement enterprise in Judea and Samaria, a perception that engendered much criticism of the possible appointment in the months leading up to the announcement. In September of 2012, The Mateh Arim (Cities' Headquarters) movement urged people to flood ministers and their staff with messages against Nitzan's appointment as Deputy Attorney General for Special Assignments. "This is a disaster," they stated. "Shai Nitzan is a bitter enemy of the settlement enterprise. If he receives the appointment, he will do anything to ruin and destroy every good part of Judea and Samaria." 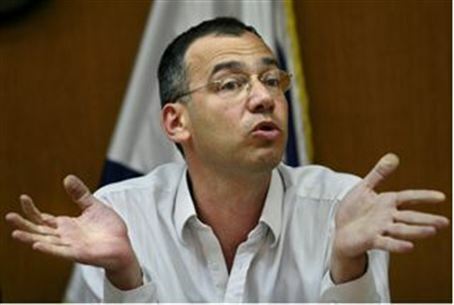 Critics say Nitzan played an active role in the Prosecution's decision to carry out mass arrests of demonstrators against the government's removal of Jews from Gaza and northern Samaria in the 2005 "Disengagement," and to close investigations against police officers who used violence against the demonstrators.